When the call of the wild beckons you, there are times when you cannot but answer it. Wild Chalet Resort stands with extended arms to gift you with that memorable getaway in the wild. Located in the fringes of the Kanha National Park in Madhya Pradesh, the Wild Chalet Resort lies beside the azure stretch of the Banjar River and occupies an area of over 9 acres. Residing in the rustic cottages of the Wild Chalet Resort is sure to be a unique experience in every respect. They are an alluring combination of the flavors of the wild along with all contemporary modern amenities. The most lucrative aspect of these spacious and comfortable cottages is the magnificent view that they offer of the river against the backdrop of the verdant forests. The sit outs and the hammocks are perfect for those moments of leisure that you have always craved for. Bask in the warmth of the sun or simply watch it set at dusk. These are those precious moments that make a blissful holiday. Savor delectable delicacies at the centrally located dining area of the Wild Chalet Resort. Watch the colorful birds as they flitter around, listen to the sweet humming voice of these beautiful feathered creatures and relish the wide array of Indian, Chinese and Continental Cuisine on offer. The Barbecue sessions besides the bonfires are thoroughly enjoyable and will surely remain etched in your memories forever. The Wild Chalet Resort authority organizes Jungle Safaris in Jeeps and Elephant Rides for all its guests. 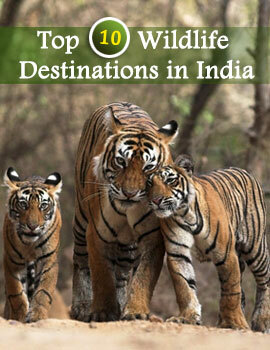 Guides provided by the resort help the visitors unravel the mysteries of Kanha. Walking in the nature trails and bird viewing can be other interesting preoccupations when staying at the Wild Chalet Resort, Kanha. The performances put up by the tribal dancers at the Wild Chalet Resort are absolutely riveting and will keep you entertained throughout the evenings. Boating, Fishing and Swimming in the River are other favorite pastimes of this Wild Life Resort's guests. One can also choose to relax reading books or watching wild life films. All in all, a stay in the Wild Chalet Resort is very congenial, made all the more pleasurable because of its competent work force. They always endeavor to satisfy you with their flawless service that can be compared with nothing short of the very best.